Today Sarah and I took Tommy to visit the Wilds and Miners' Memorial Park to see the animals and the Big Muskie bucket. We kept our destination a secret from Tommy for a bit of a surprise. 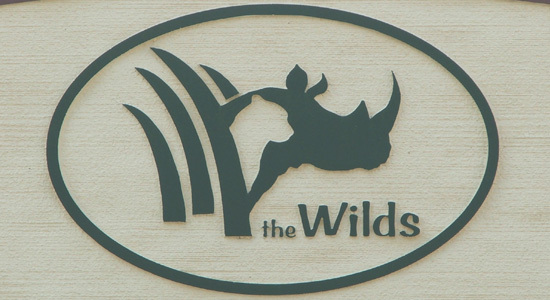 There have been several changes at the Wilds since mine and Sarah's last visit several years ago. They offer two types of bus tours through the preserve. One used smaller air-conditioned buses. The other tours used the old school buses that have the tops cut off and are open-air with a canvas roof. We chose the "Open-Air Safari". It offered the best opportunity for photos. Also new are stops along the tour to get off the bus and explore areas inside the preserve. Our first stop was the "Lake Trail". Lake Trail is a five-acre enclosure within the animal area. The second stop was outside the fenced animal area called the "Mid-Sized Carnivore Conservation Center". This complex featured a research center, walking trails, elevated boardwalks and observation decks offering views of a series of enclosures. The large enclosures housed cheetahs, African wild dogs and dholes. The three of us spent over 4 hours exploring the sights and sounds of the plants and animals at the Wilds. Check out my pictures from the Wilds. 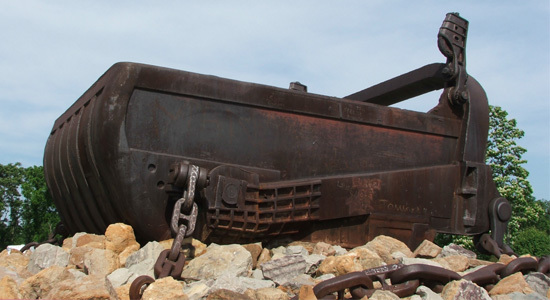 On our drive back from the Wilds we stopped at Miners' Memorial Park to see Big Muskie's bucket. I am always impressed with the size and engineering of this mammoth machine. I think we were all impressed. Well, maybe not Sarah. Click here to see my pictures of Big Muskie.